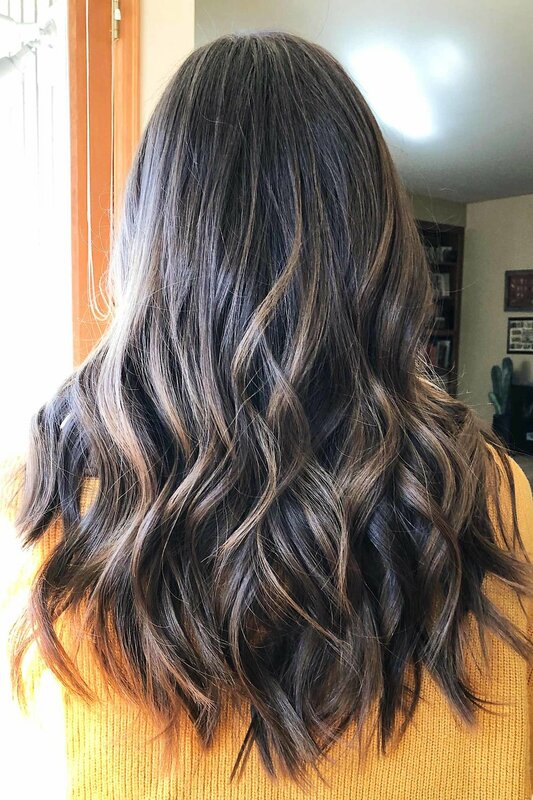 How to get shiny hair? 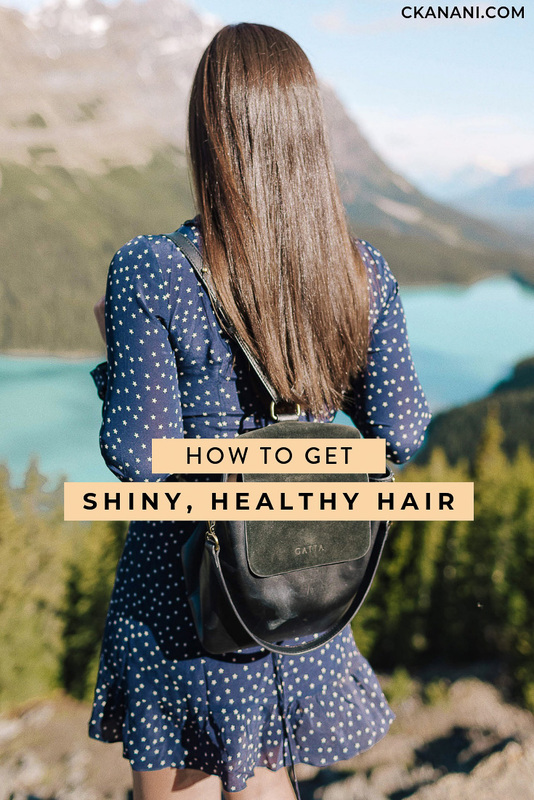 The key to having shiny hair is having healthy hair! It is as simple as using the right hair tools and products. Believe it or not, every single brush, hot tool, shampoo, conditioner, treatment, etc. is something I have carefully curated and use for a specific reason - with shiny, healthy hair in mind. I am lucky to have a sister who is a hairdresser because she’s constantly telling me about new products, tools, and services to try out. When I’m back at home visiting her she’ll often let me tag along to the best place on earth - a beauty supply store that only professionals can access - where I load up on hundreds of dollars worth of products to hold me over until next time. Because of this I have tried waaaaay more hair products than your average person. Side note: if you are in Seattle, WA or anywhere near, go see my sister Steph at Salon Bella in Bellevue! Click here to see her Instagram account. The result of this is shiny and healthy hair! Shiny enough that I get asked about it constantly, at least. So finally I have rounded up a full run down of all the different tools and products I use to achieve this. Get your hair cut. Believe it or not, when hairdressers tell you you need to get your hair trimmed regularly (even if you are trying to grow it out), they aren’t lying. If your hair is not healthy, it will not grow. If you don’t trim it, it will not be healthy! You know those pesky split ends? Those happen when you don’t cut your hair enough. Once this happens it doesn’t just split the ends and stop. Instead it continues to split up the hair shaft, getting worse and worse. Then not only are the ends damaged, but so is the rest of your hair. This means that when you finally do go in for that cut you’ll have to trim even more off if you want to truly fix the damage. Sound bad? It is! I personally try to get mine trimmed once every 3 months. My sister, the actual expert here, says for short hair you should trim it every 6-8 weeks and for long every 10-12 weeks. Along the same lines - do not do your hair yourself. Don’t cut it (you don’t have the right scissors nor do you know the right techniques) and definitely do not color it. You will do a lot of damage. Also keep in mind that you get what you pay for. Find someone that you trust! Use a silk pillowcase. This is an absolute necessity in my opinion. If not for your hair then at least for your face. If you don’t already own a Slip pure silk pillowcase, grab one now. Just look at the list of benefits in the product description: “helps to reduce signs of friction, stretching and tugging on delicate facial skin, silk fibers promote the longevity hair and facial products, allows skin to glide along the pillow while reducing extra pressure on creased skin, resists pulling of hair cuticles and helps preserve style, volume and length of hair”. I often get asked how my hair still looks “perfect” when I wake up (curls especially which I can make last for days) and this is how! Because your hair can glide around freely on the silk without any friction, your hair will look the same in the morning as it did before you went to bed. The silk also won’t strip out any products (haircare or skincare) you have in it. It not only doesn’t hurt your hair, but it actually contributes to making it healthier! An absolute necessity, honestly. Click here to see the latest prices. Go sulfate-free. If you want shiny, healthy hair you should do your best to stay away from sulfates. Sulfates are used in hair products to create that sudsy lather most of us are used to, and while they aren’t dangerous, they definitely are not good. They dry out your hair and scalp, stripping them of necessary oils and weakening your hair. Generally if a product is sulfate free you will see this mentioned on the bottle, but not always because sometimes they like to make our lives hard for no apparent reason. Because of this whenever I go to the beauty supply I’m on my phone half the time googling ingredients, attempting to verify it’s without sulfates! The reason I have to google this instead of reading the ingredient list is because they sneak sulfates under a lot of different code names. Sodium lauryl sulfate, SLS… If I see anything mentioning “sodium” (salt = drying!) or “sulfate” I know I’m good to go, but even without mention of those words I still double check. So sneaky, these brands. Don’t buy drugstore. Whenever I stumble upon a beauty blogger’s YouTube comment section I notice something almost without fail: people want to know a cheaper alternative for everything. While I certainly agree that many things in life are overpriced for literally no reason at all (looking at you, La Mer), this is not always the case. Sometimes good things cost what they do for a reason - because they are good. So while there might be some halfway decent drugstore products, I don’t personally know of any. I don’t shop for haircare there and I don’t think you should either! Buy products from a legitimate source. DO. NOT. BUY. HAIR. PRODUCTS. FROM. AMAZON. Or skincare, or makeup, or anything you put on your body. People can sell something but fill it with something completely different… and this happens constantly. I read about it all the time. Do not buy these types of products from Amazon - it can be dangerous. All of the products below I have linked to authorized resellers that guarantee authenticity so please buy them there, for your own safety! Don’t use hair coils. (These things) A lot of people will disagree with me here and my own sister even uses them but I very strongly do NOT advise using them. Especially if your hair is thick. They advertise a strong grip which is true, the grip is STRONG! The grip is so strong in fact that your hair can’t move. So what happens if your pony is too heavy and it NEEDS to move? Hairs will break in half since it’s impossible for them to wiggle out of it. I used to love these things until one day I was getting my hair done in SF and my hairdresser pointed out that I had a random row of broken hairs. Not a ton - not enough for me to notice myself - but definitely enough to get me to stop using them forever before they did any further damage. What to use instead? Slip silk scrunchies, jaw clips, those hair tie ribbon things, regular old hairbands - anything but hair coils! Eat healthy. Eating healthy impacts every single part of your body, including your hair! And while you can’t change your genetics, you do have control over what you eat. For example, olive oil and anchovies contain omegas which provide hydration to your hair. Eggs are a great source of protein and biotin, both of which help promote hair growth. Spinach is full of folate, iron, and vitamins A and C, all of which also can help promote hair growth. Healthy food is classified as healthy for a reason! Take a hair vitamin. A hair vitamin isn’t necessary for everyone, but if you are looking to grow your hair out ASAP this is a great way to do it. Viviscal’s Hair Growth Program works wonders, truly. I randomly tried it after Keltie Knight (from Entertainment Tonight) recommended it in a private Facebook group and couldn’t believe how well it worked. My hair grew like crazy and so did my nails. Apologies for the super horrible quality photo (it’s actually a screenshot of a boomerang, ha) but look how long my hair was! The vitamins made it grow longer than it ever has before. Click here to see the latest prices. One thing to note here is that if you are sensitive to Biotin you should not take these. Most people can take Biotin with no problem but I’m in the small group of people that break out from it which is why I no longer take these. The tools you use are incredibly important for hair health. Ever used a hotel hair dryer and noticed your hair is fried after? Same. It makes a huge difference and the investment is worth it because you will be using them constantly for years to come. Hairbrush — If you aren’t already using a wet brush you must be new around here! I cannot live without this brush and haven’t used anything else since originally purchasing one. It’s conveniently very inexpensive so how could you not?! Click here to see the latest prices. Round brush — When I’m feeling not lazy and want my hair to look extra voluminous and beautiful I blow dry it with a round brush. The one I use is specifically designed to heat up faster, retain heat longer, and reduce drying time. Most importantly it uses something called “Tourmaline Ion Technology“ which hydrates the cuticle, adds shine, and eliminates frizz. I notice a big difference when I blow dry with this vs. when I use a regular hairbrush or rough dry (duh, I guess). Click here to see the latest prices. UPDATE: My newest obsession is the Revlon One-Step Hair Dryer & Volumizer! It’s the #1 seller on Amazon for beauty and has 5K amazing reviews for good reason. It makes your hair so shiny and voluminous, you don’t need to do anything post-blow drying! Unreal. Click here to see the latest prices. Curling iron — I have a handful of different curling irons but for the price I surprisingly think the Hot Tools Signature Series one is the best bang for your buck. Just make sure you use the proper styling products beforehand to minimize damage (more on that below)! Click here to see the latest prices. Hair straightener — If you get the right hair straightener it will actually enhance the shine in your hair. I like GHD’s Gold Professional Performance 2" Styler because the plate is larger than normal which cuts down on time, especially for my thick hair. Click here for see the latest price. There’s also a classic 1” style available, click here for that. 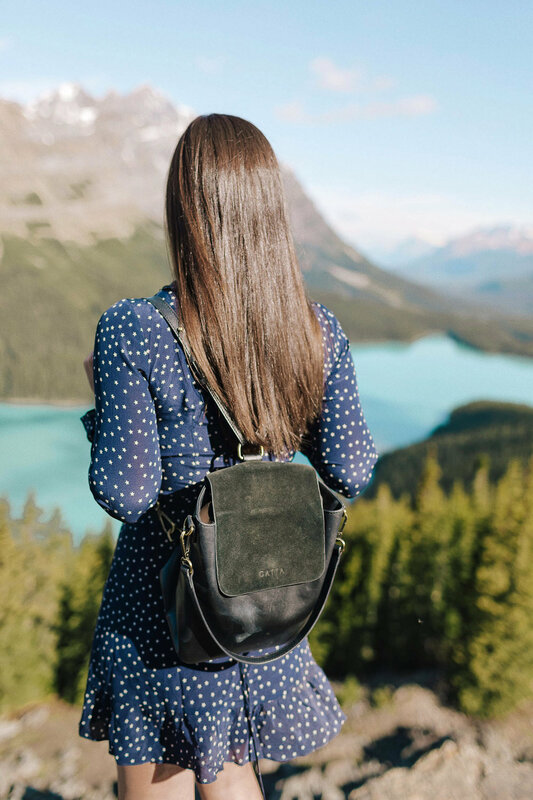 If you need one for traveling and don’t want to lug around the full size version, T3 makes a good compact one that is perfect for travel. It even has auto-world voltage! Click here for the latest price. Before we get into specific products, let’s talk about brands. I do this thing with brands - whether it’s fashion, beauty, or something else - where once I try a product and love it, I go back and try more. If those are good I get everything else and eventually become ride or die for those brands. You’ve probably noticed this with SkinCeuticals for skincare, M. Gemi for shoes, etc. Side note: this seems like a good time to mention that this post is not sponsored! But, as with most things, you need to be smart about which one you use (i.e. don’t just purchase something random because it’s cheap). The idea here is to purify your hair without stripping it of moisture. I very highly recommend the Moroccanoil Clarifying Shampoo. I have been using this for years (I even have a ginormous salon-size version of it) and do not go anywhere without it. If there is one shampoo I cannot live without, it's this! Click here to see the latest prices. How often you need to use a clarifying shampoo will differ from person to person. For example, if you are oily you will want to use it more often than if you aren’t. Same goes for if you use a lot of styling products. I personally use it about every other week or anytime I feel like my hair needs a deep cleanse. Which shampoo and conditioner you should use regularly will depend on a variety of factors: what type of hair you have, what you are looking to accomplish, etc. Surprisingly this is one of the items I am least married to on the list. I am continually trying new ones and there are a large handful of ones I like. Living Proof’s No Frizz line is wonderful, I have used that for years. Click here for the shampoo and here for the conditioner. Lately I have been using Moroccanoil’s Moisture and Shine line after they sent it to me. It’s described as an everyday, argan oil-infused hydrating shampoo for all hair types. It also contains coconut oil which helps lock in moisture to leave hair shiny. Overall I like it a lot so far! Click here to see the latest prices. It is also available in a travel set with their treatment that I also love (more on that below). Click here to see that. My sister’s number one recommendation is the Olaplex shampoo and conditioner. It is highly moisturizing, reparative, and strengthening. I wrongfully thought Olaplex products were just for people with color treated hair but it’s actually good for everyone. It repairs and maintains bonds within the hair which break down not only when you get your hair colored but also from things like environmental factors (this is why it’s good for everyone). It also helps reduce frizz and adds shine! Click here for the shampoo and here for the conditioner. If your hair is brassy or too warm toned you should invest in a good purple shampoo! If you look at the color wheel, purple is opposite yellow. When blonde hair turns yellow (or similar color), purple can fix that which is why purple shampoos exist! My hair naturally has an auburn-y tint so I use one even when I don’t have blonde in my hair to try to combat the warmth. It can be hard to find a good purple shampoo that is also sulfate free (not sure why to be honest) but Amika’s Bust Your Brass fits the bill. Click here for the shampoo and here for the conditioner. If your hair is really yellow/orange, beyond the repair of purple shampoo, go see your hairdresser and have them tone it. It’s usually inexpensive. Dry shampoo comes in a few different forms — spray, foam, and powder. I own all three of them and use them for different reasons. Overall I like the sprays the best. The Living Proof Perfect Hair Day dry shampoo is the best one I have found. It is pricey but it actually cleans your hair unlike the cheaper ones like Batisse. Click here to see the latest price. The foams are good if you’ve slept on your hair weird and need to fix a cowlick or something, as my dear friend Janelle taught me! This is because they will temporarily make your hair wet, allowing you to reset your part or other weirdness. Putting a wet product on your dry hair can feel a bit strange but it’s ok after you get used to it. The Amika one is also hydrating and by now you know that hydrating = shiny! Click here to see the latest price. Dry shampoo powder is good especially for boosting volume. I generally use this while traveling because while powders can go everywhere, sprays cannot! Click here for the one I use. Hair treatments are helpful if your hair is especially dry or in need of more concentrated attention. My favorite hair mask is Amika’s Soulfood Nourishing Mask. It deeply hydrates, repairs damaged hair, and improves shine and elasticity. You use it in place of conditioner and leave it on for two to five minutes. I don’t use it often, just when my hair feels especially in need. Click here to see the latest price . Another hair treatment I really love is from Julen Farel Haircare, an anti-aging hair care line from Italy. Their Hydrate Restore product is something I would have probably never tried had I not received a sample of it years ago. This treatment makes my hair feel softer than anything else. You use it in place of both shampoo and conditioner, leave it on for a few minutes, rinse, and bam! Your hair is clean and soft as ever thanks to hyaluronic acid which is actually my favorite skincare ingredient. Click here to see the latest price. If you do not like standing around in the shower waiting for masks to work their magic, there are also leave-in treatments. The one I like best is Living Proof’s Perfect Hair Day Night Cap Overnight Perfector. It is extremely versatile - you can apply it on wet hair, on dry hair, wash it out in the morning, don’t wash it out in the morning. It’s up to you! You simply put it in your hair before bed and wake up with shiny, vibrant, manageable, hair. Click here to see the latest price. There are also plenty of helpful salon treatments you can do to achieve healthy hair. My favorite is the Brazilian Blowout which I get done by Stephanie Sultemeier (my sister) at Salon Bella in Bellevue, WA. Click here to see her Instagram account. 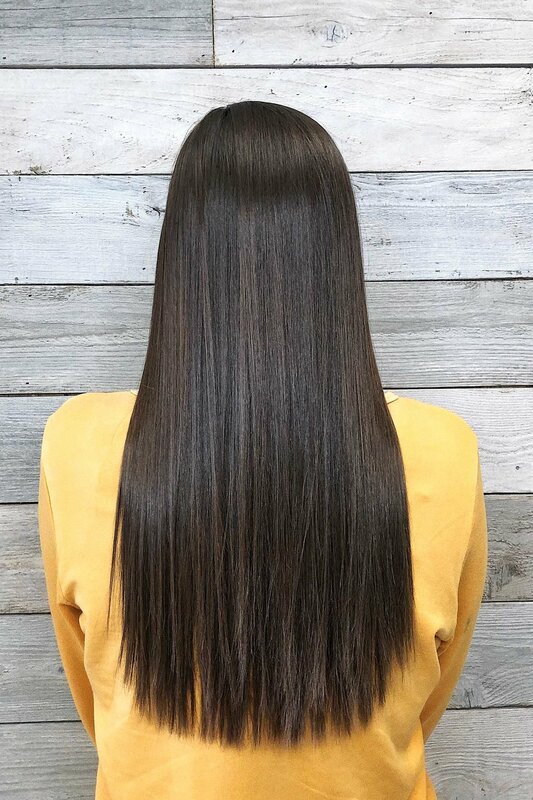 Brazilian Blowout is a professional smoothing treatment that improves the condition on your hair. If your hair is frizzy or damaged you should definitely look into this! It lasts for up to 12 weeks and will totally transform your hair. I almost always get one done before I go on a big trip because it cuts down drying time and makes it so that I barely have to do anything to my hair. Styling products are important because when used correctly they can protect your hair from hot tools and/or provide further benefits. Before I do any kind of styling, and after brushing my hair with my wet brush, I put a small amount of Moroccanoil Treatment in the tips of my hair. 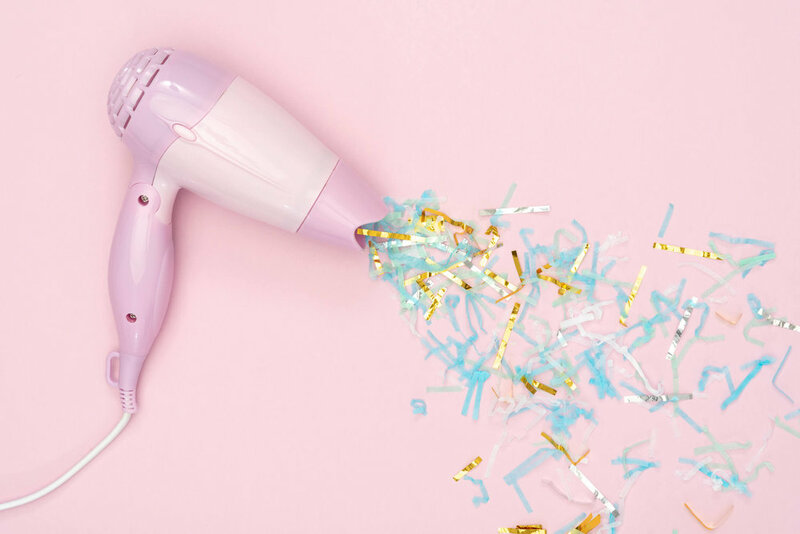 This detangles, speeds up drying time, and boosts shine. Since it’s an oil, you do not want to apply this everywhere, just the tips. Click here to see the latest price. Side note: when I travel I bring Verb's Ghost Oil instead because I have trouble with the Moroccanoil leaking in my toiletry bag, unfortunately. Click here to see that. What you do want to apply everywhere prior to blow drying or using any kind of hot tool is an all over heat protectant. I use The Wizard Detangling Primer by Amika because it does a handful of things in one. It detangles, protects against thermal damage, reduces blow dry time, softens, adds shine, nourishes, and it even smells great! It’s packed with nutrients to keep your hair shiny and healthy which, again, is the whole point here :) Click here to see the latest price. If you want to add volume, I also use and really like their Brooklyn Bombshell Blowout Spray. It’s very similar to the detangling primer while also aiming to provide extra volume. Click here to see the latest price. In the hairspray department, I very highly recommend Moroccanoil Luminous Hairspray. Many people think that the quality or type of hairspray you use doesn’t make a difference but let me tell ya, it definitely does. I have forgotten or ran out of hairspray in the middle of a trip more times than I can count and resorted to buying and using some cheap drugstore alternative. There is SUCH a clear difference. Cheap hairsprays are cheap for a reason - they are full of crap that will dry out and damage your hair. Stay away! The Moroccanoil hairspray, on the other hand, is infused with argan oil! This leaves your hair with a reflective shine. It also helps fight frizz and humidity while still being weightless and non-sticky. It’s the best. Click here to see the latest price. For texture spray, the best of the best is Oribe’s Dry Texturizing Spray. It’s not cheap but the bottle is quite large and will last for awhile. Plus the ingredients are much better than the less expensive options, especially since it doesn’t contain sulfates. Antioxidants and aloe vera are included to hydrate, nourish, and protect color. It even doubles as a dry shampoo! Click here to see the latest price.